The CNA salary in New Hampshire is one of the highest paying in the U.S. Wages can vary depending on what city you are in employed in as well as the type of medical facility and time on the job. If you enjoy helping people and looking out for their health, you might want to consider a career as a certified nursing assistant or CNA. A certified nursing assistant provides for their basic quality-of-life needs of patients in clinics and hospitals. They can also find employment in assisted living facilities, nursing homes, and in adult day care centers. Some CNAs even provide private care for patients in their homes. A CNA works under the supervision of a registered nurse to provide daily care to a patient. The nurses and even the doctors depend on the CNA to observe the daily condition of the patient and inform them of any changes. CNAs observations play an important part in helping doctors come up with a treatment plan that will ensure the patients comfort and improve their health. 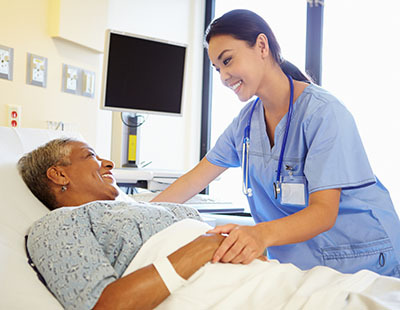 Becoming a CNA will provide you with a nice salary to take home and also provides you with the satisfaction of knowing that you have helped improve people’s lives. According to Indeed.com., a CNA in the United States can earn an average salary of around $12.02 an hour. This comes to around $23,726 a year. New Hampshire is one of the best states to be a CNA with an average salary of $13.81 per hour. That comes to around $27,939 per year. You can get a better idea of your earning potential as a CNA in New Hampshire by taking a look at the following list. Though New Hampshire offers some of the highest salary rates for CNAs in the entire United States, the highest paying jobs tend to go to CNAs who are considered experienced. Some positions are simply not made available to CNAs without any work experience. A new worker will have to take an entry-level job at a lower pay scale then an experienced CNA. Your best bet is to look for a job at a nursing home or hospice where you will get a decent pay and a chance to rack up experience. The health care facility that a CNA works for also has an effect on the amount of pay that they will be offered. Check out the following list of CNAs annual salaries according to the type of settings they work in. After acquiring some experience by putting in a few years in a hospital or some other facility, some nursing assistants choose to become self-employed. Self-employed CNAs usually care for patients at the patient’s home. In New Hampshire, a self-employed CNA will charge around $10-18 and hour. If you don’t have the experience to become a self-employed CNA, your best bet is to get employed by a hospital or other government facility as they provide the best income and benefits. For those wanting to get started toward their certification there are many nursing assistant classes in New Hampshire available that meet state registry requirements and will help you learn the skills to pass the examination. Classes generally last from 6 to 8 weeks and teach you clinical skills training and prepare you for the test in a classroom environment.